The Trust’s Head of Learning Development, Lyndsey Humphries, shares her reflections on this year’s Institute of Money Advisers’ (IMA) annual conference in Manchester. This year’s Institute of Money Advisers conference – my first – was an excellent mix of workshops and sessions which provided useful insight on some of the issues facing our sector. In this blog I’ve collected some quick thoughts on various aspects of the two days. Tying them all together is the sheer scale of the changes impacting both the sector and the people that we exist to help. The impact of FCA regulation, a renewed focus on financial capability and for many of our clients, the enormous implications of the Universal Credit roll-out, all add up to the need for all advisers and agencies to keep up to date as the landscape changes around us. On a lighter note, our two days in Manchester included, of course, the terrific Money Advice Awards – at which the Trust was pleased to be shortlisted for the Social policy achievement award for our Stop The Knock campaign on local authority bailiff use. While we were pipped to the post by the Social Policy/Restart Team at Coventry Citizens Advice, it was fantastic to hear about those nominated and the great work taking place across the sector. Our congratulations to Coventry Citizens Advice – well deserved indeed! Before we got to the awards, however, there was lots of food for thought in the first day’s conference sessions. Garry Hunter, Senior Manager at the Financial Conduct Authority (FCA), gave an interesting keynote on the impact of FCA regulation and the authorisation process – a topic that continues to provoke much discussion. Colleagues and I attended a workshop on the same topic. These sessions aimed to address how debt advice agencies can ensure compliance with FCA rules – and it was useful for delegates from a wider range of agencies to dive into specifics and share their experiences.  The announcement from Caroline Siarkiewicz, Head of the UK Debt Advice Programme at the Money Advice Service, of a new £7m financial capability What Works Fund was well received by delegates. The fund will provide financial support for projects focused on improving financial capability, and crucially, evaluating those projects – forming part of the new Financial Capability Strategy. A particularly interesting workshop focused on Universal Credit, using case studies and scenarios to illustrate how specific groups of clients will be treated under the new system. As someone not involved on the frontline of advice, it was a useful tour of the scenarios that are arising. My key takeaway was UC’s assumption that self-employed people have income coming in equivalent to the national minimum wage for 35 hours – a stark contrast with the experience of our Business Debtline clients, many of whom earn substantially less than this. One to watch. Other sessions, from the Money Advice Service’s Tiana Pathmanathan on Peer Review, and a workshop on client engagement, provided further food for thought. The Trust had an exhibition stand at the conference and we were pleased how many people came to stop by. It was particularly pleasing to hear such enthusiasm about the work of Business Debtline, with a growing number of agencies referring their self-employed clients and other small business owners for expert advice. For us, of course, the conference was a further chance to share our forthcoming plans for Wiseradviser – our adviser training programme – and I was pleased to bring back to the team more than a few extremely positive pieces of feedback volunteered to us over the two days! We’re looking forward to returning next year – and catching up with many friends and partners across the sector in between.